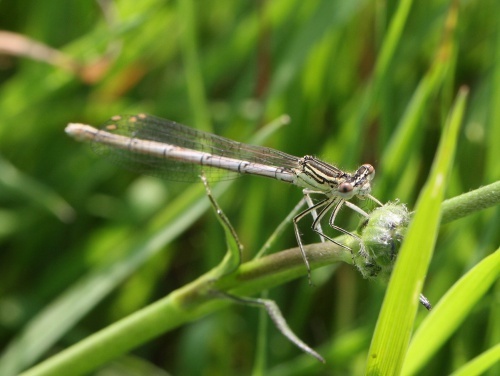 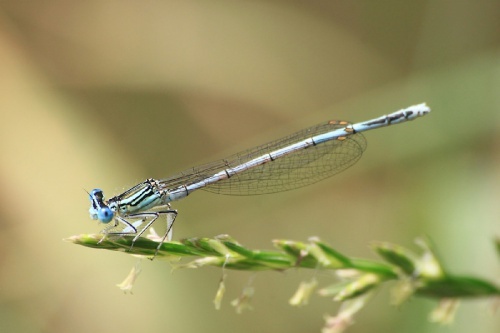 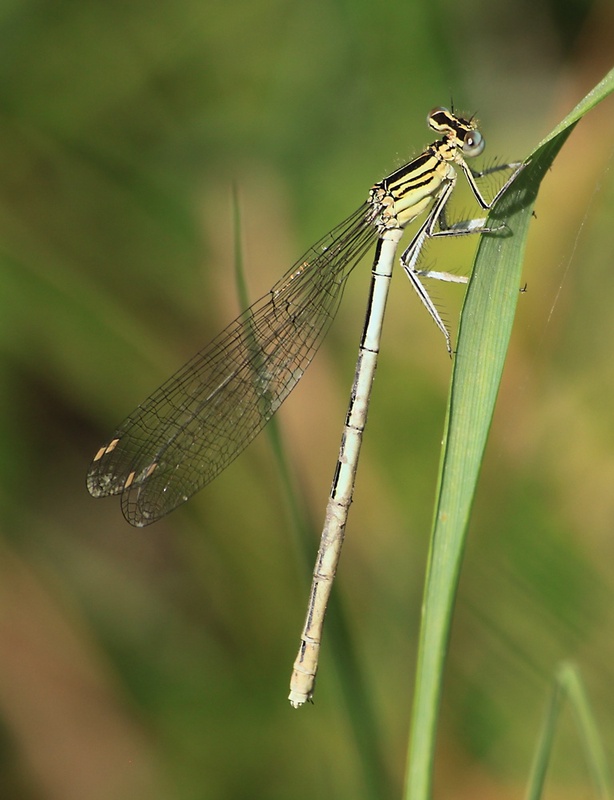 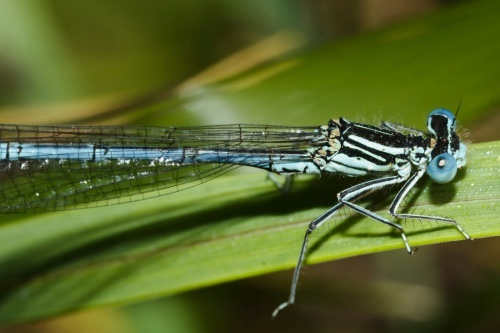 As well as the diagnostic broad, 'feathery' white legs, it generally has a paler blue body to help distinguish it from the other blue damselflies. Immature males and females are mostly creamy white. (form lactea). 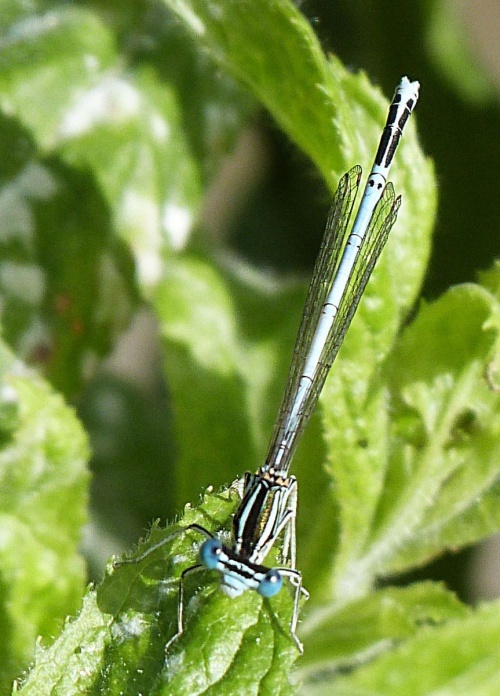 Females take on a very pale green colour on maturity. 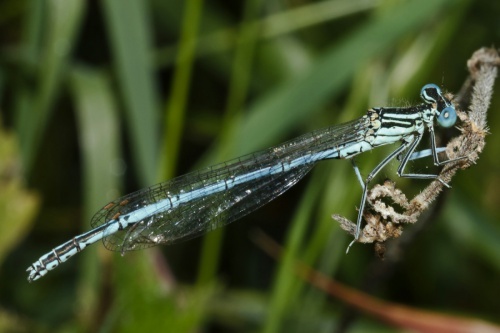 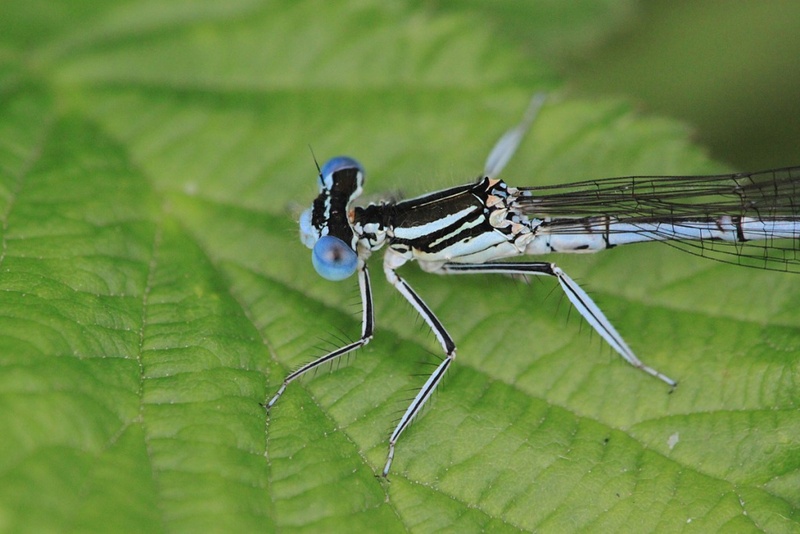 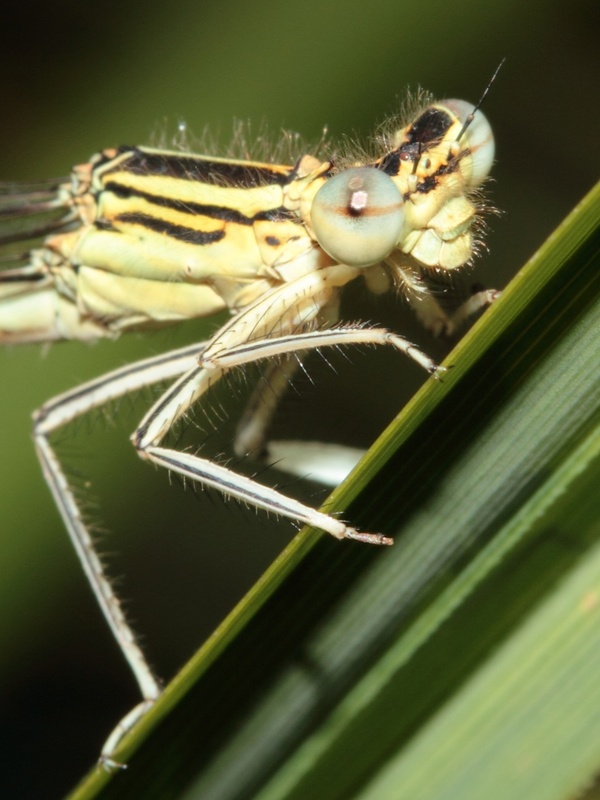 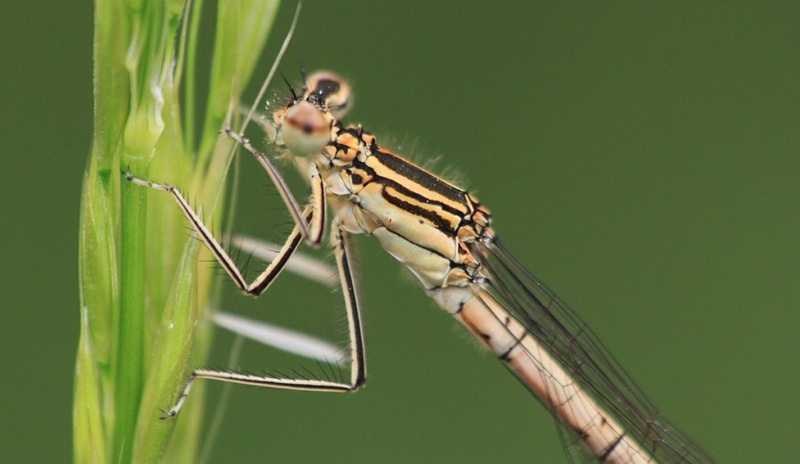 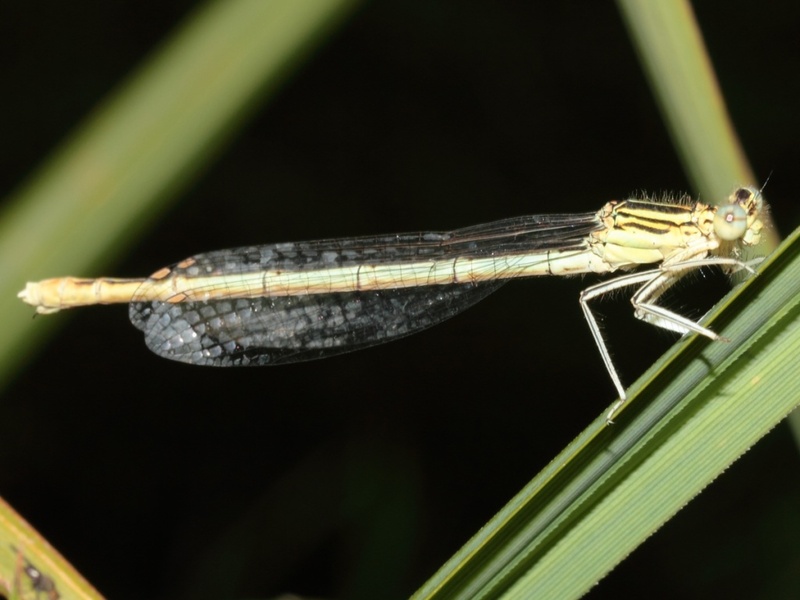 This damselfly favours slow moving rivers and canals with luxuriant vegetation. Mid May to mid August. The males engage in a courtship display to woo the female, raising its front white legs in front of the female as part of the act. 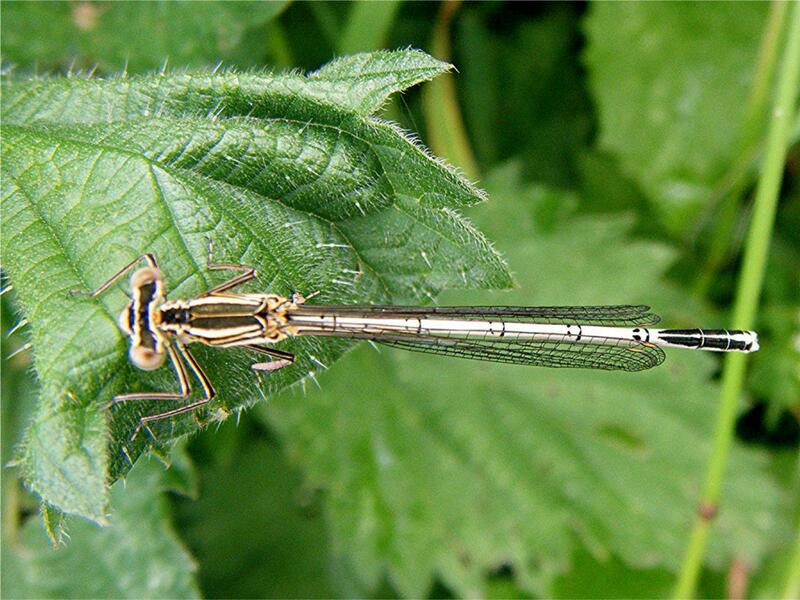 In Britain it is found in mainly lowland areas, up to the Midlands. 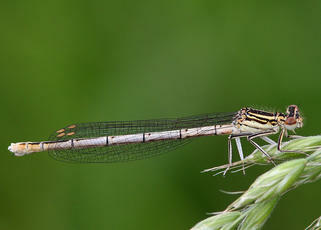 It is uncommon but can become locally frequent. The species reaches the northern edge of its range in Leicestershire & Rutland and, although it is still infrequent in VC55, it may well be increasing in numbers here. 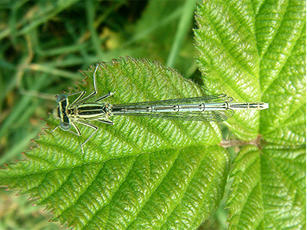 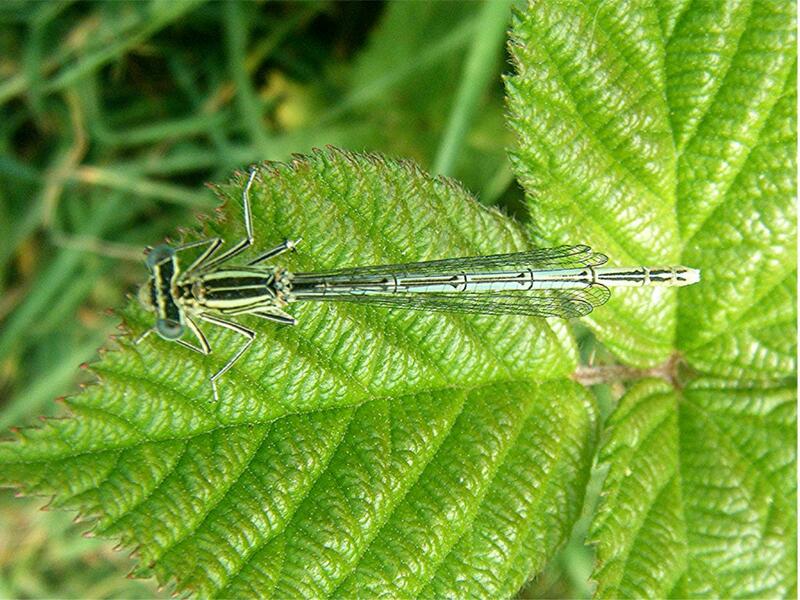 The White-legged Damselfly is a species that reaches the current northern limits of its UK distribution in VC 55. It favours unshaded sections of streams, rivers and canals with a moderate to slow flow but is present at only a handful of localities in the counties; this suggests that other, as yet unknown, factors may influence its distribution. The White-legged Damselfly is found along the full length on the Ashby Canal and on the Grand Union Canal south of Leicester City. 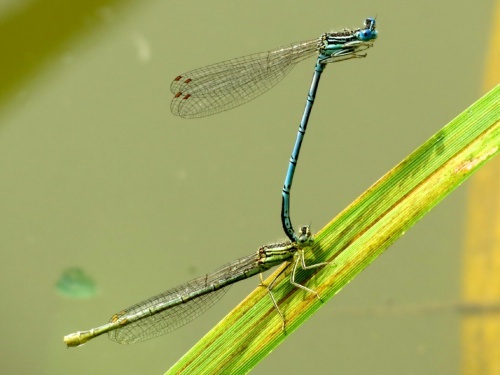 It also occurs along the Rivers Wreake and Eye and the Gaddesby and Queniborough Brooks in north-east Leicestershire. 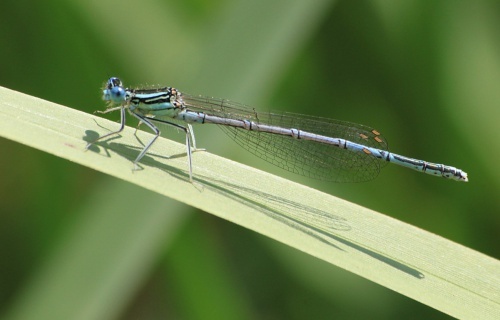 Its distribution follows the Rivers Avon and Welland along the southern boundary of both Leicestershire and Rutland and also their tributaries in the form of the Eye Brook and River Chater. Of note is an apparently dramatic range extension north along the Ashby Canal in 2006. 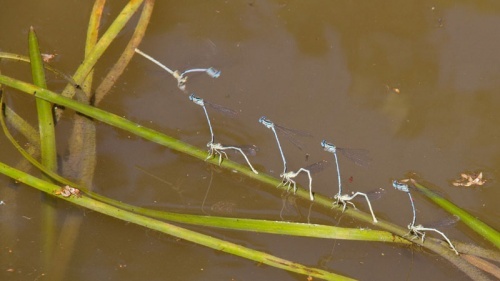 Prior to this date there had only been three records on this watercourse, while in 2006 it was found in virtually every 1 km Ordnance Survey grid square along the canal. 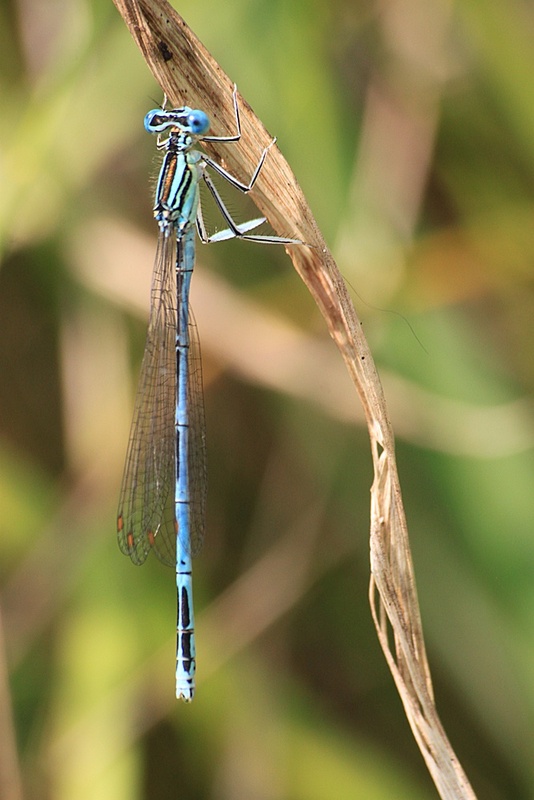 Historic records show that the White-legged Damselfly has always been uncommon in VC 55, with Corbet et al (1960) classing it as 'extinct or status very uncertain'.